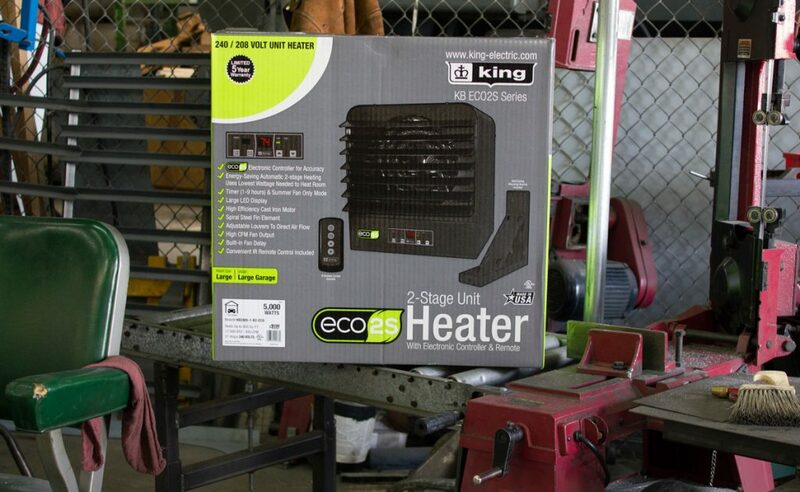 The ECO2S KB series unit heaters offers unparalleled performance, energy efficiency and user control by incorporating another King innovation, the in-built ECO2S electronic thermostat with remote control. 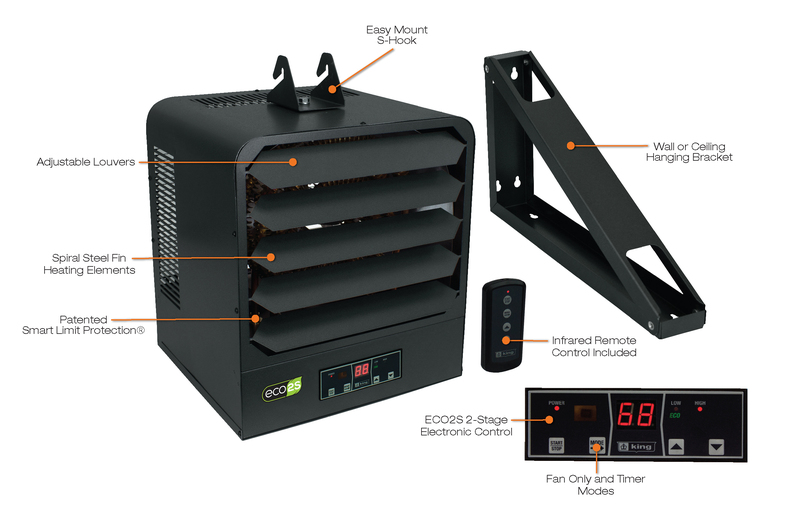 Offering energy efficient 2-stage heating, with Eco mode that automatically uses the lowest wattage needed to heat the room, integrated fan only and timer modes, as well as a remote control for simple operation. 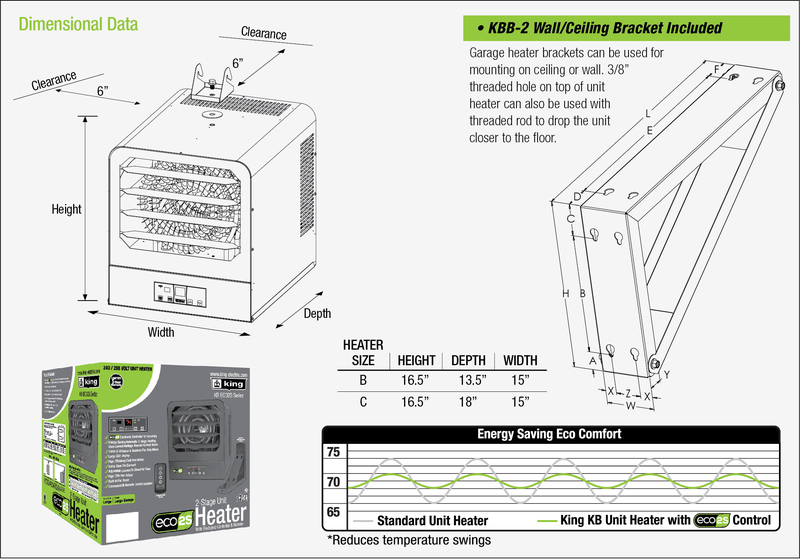 Designed for use as primary or supplemental heat sources in warehouses, stores or large garages spaces. 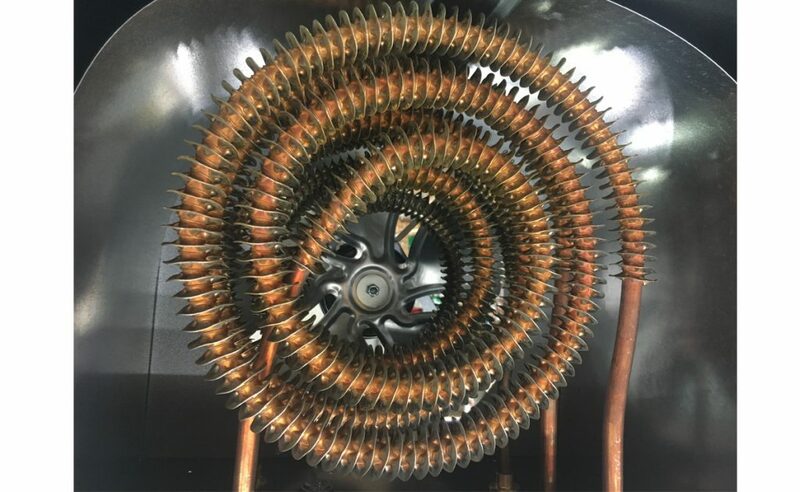 Spiral steel elements and high CFM ensure even air distribution producing cooler element operation which prolongs the life of the heater. 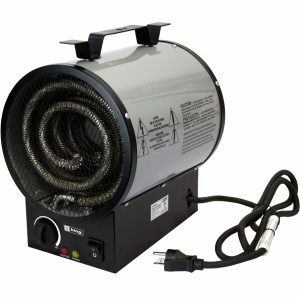 By combining the highest quality components, with a dynamically balanced fan blade, the KB ECO2S unit heater will provide years of trouble-free service and keep heating bills to a minimum. 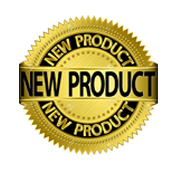 Includes universal wall/ceiling bracket for simple installation. 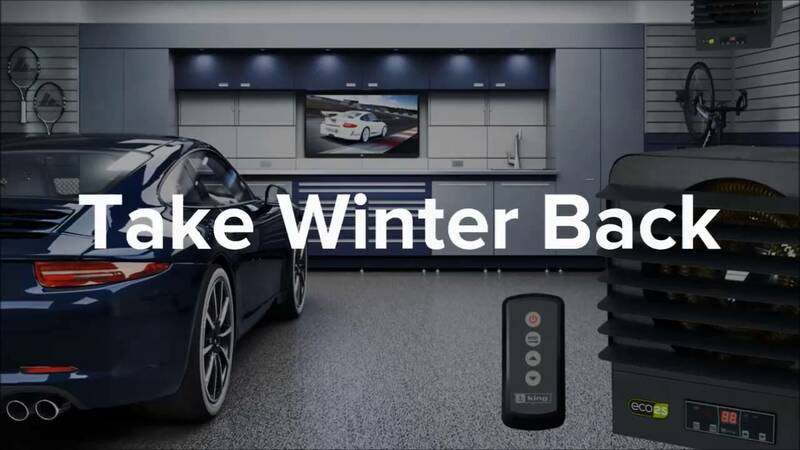 KB ECO2S Works Smarter Not Harder by offering unparalleled performance, energy efficiency and user control of the in-built ECO2S electronic thermostat. 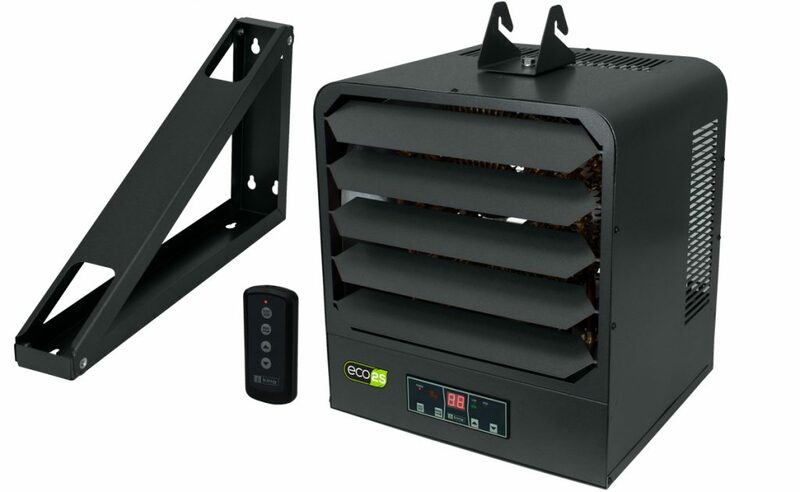 Offering energy efficient 2-stage heating, with Eco mode that automatically uses the low wattage needed to heat the room, integrated fan only and timer modes, as well as a remote control for simple operation. 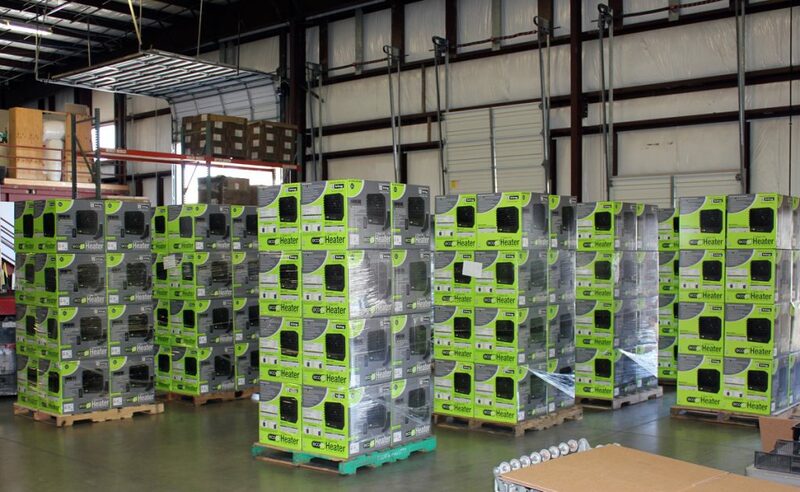 KBB-2 4 to 15 kW (1 phase) 16 7/8" 2 15/16" 10 1/8" 1 1/4" 7" 1 7/8" 1 5/8" 13 5/8" 1 5/8" 3/4" 1" 1 1/2"
Contractor shall supply and install KB ECO2S Series garage heaters manufactured by King Electrical Mfg. Company. Heaters shall be of the wattage and voltage as indicated on the plans. 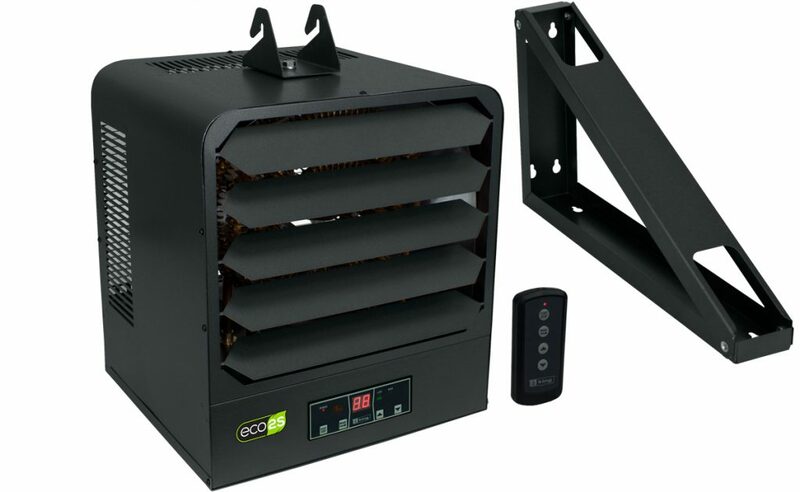 Adjustable Outlet Louver: Louvers direct air up or down as needed for the heating application. Rear Intake Screen: Heavy gauge steel screen protects against foreign objects making accidental contact with the rotating fan blade. Totally Enclosed Fan Motor: Permanently lubricated long life unit bearing motor with 20cc of oil. Epoxy-coated motor with enclosed rotor resists moisture and corrosion for long-lasting, trouble-free operation. Aluminum Fan Blade: 5 blade fan mounted directly to the motor shaft for maximum efficiency. 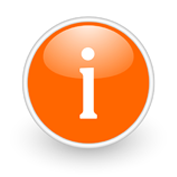 Auto-Reset Thermal Cutout: Power is disconnected from the element if an overheated condition occurs. 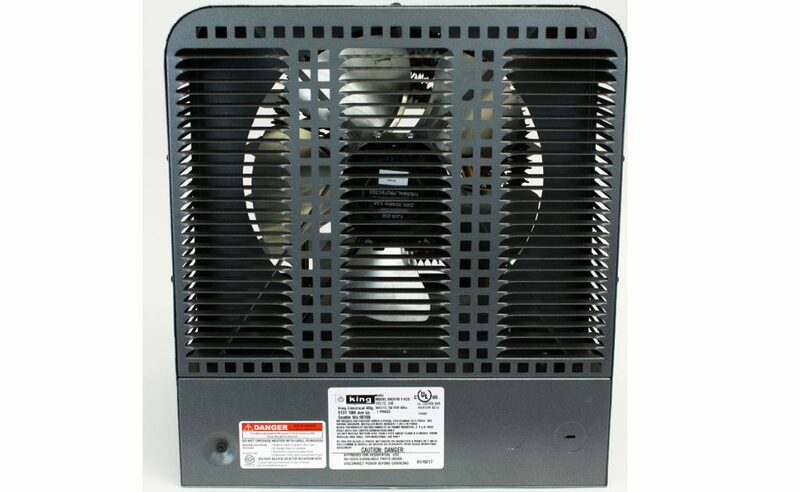 The fan continues to run to dissipate excess heat from the element. 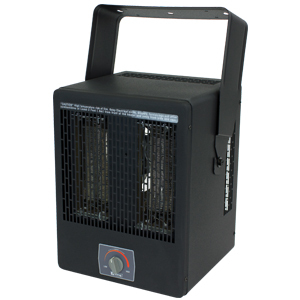 The element is re-energized automatically when the normal operating temperature returns. Electronic Control: Up, down temperature mode. Start/Stop. 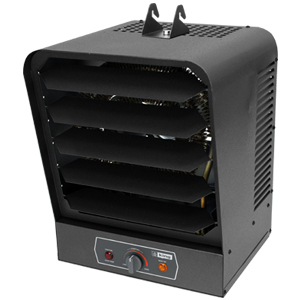 Standard on all heaters. 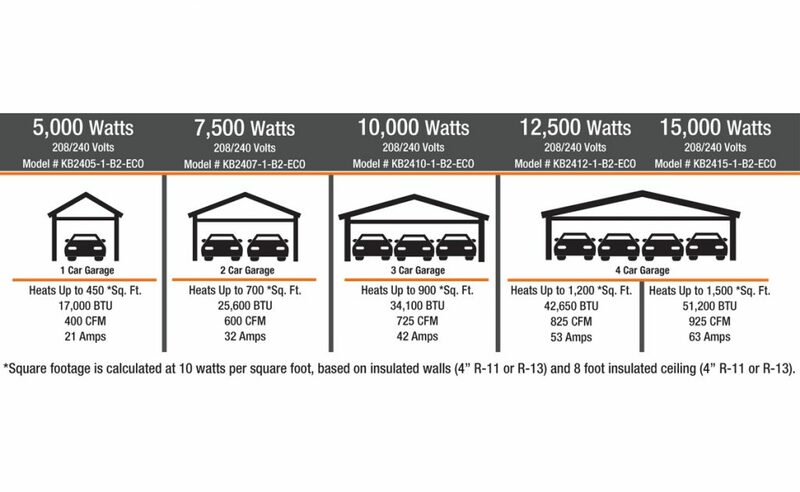 The control voltage is equal to the line voltage (208, 240) for 5kW models. Over 5kW the line voltage control is operating the contactors.